Nobody should have to live with back pain every day of their life, which is why this information about laser therapy is so important. Many people are choosing this method of back pain treatment because it can be more beneficial than taking medications or other forms of treatment. 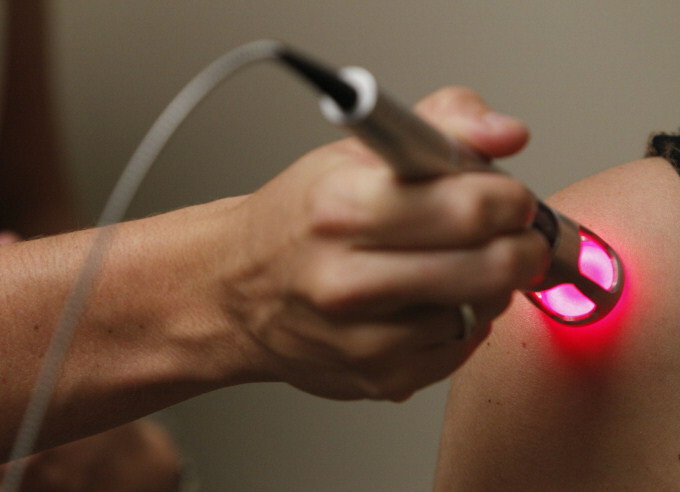 Laser therapy is a non-invasive, pain-free way to eliminate and reduce the pain that you feel in your back area. 1. Burning and Tightness in the back area. 4. Shooting pain in and around the back. There are many other symptoms associated with back pain that can be eliminated with the use of laser therapy back pain treatments. Please contact Hoffman Chiropractic at 815-937-0446 for more information. Laser Therapy has been clinically proven to work for treating pain in the back, plus, it is commonly being used more and more because in most cases the treatment is very successful. In addition, this type of treatment can help people from having to use pain medication thus they don’t have to worry about becoming addictive to prescription medications due to their back problems. 1. Laser therapy isn’t a temporary fix, it is a solution to back pain. 2. It stimulates the body into healing. 3. Laser therapy treats the nerves that often cause the back pain. 4. It stimulates nerve functions. 5. Laser therapy has no side effects. Laser therapy emits a deep photonic energy that helps or in most cases completely eliminates back pain and inflammation. It is possibly the best method to treating back pain so if you think this treatment is something you would like to try, please do not hesitate to contact us at Hoffman Chiropractic, phone number 815-937-0446. We look forward to helping you eliminate back pain from your life. Your neck, also known as your cervical spine, starts at the base of your skull, it has seven little vertebrae. The cervical spine supports a person’s head, it allows us to move our head almost every direction. Since, the cervical spine can move so easily about, this type of flexibility makes it susceptible to pain, stiffness and injury. Neck pain can cause a person problems if it is not properly treated thus making it hard for the person to live a fulfilling life. These are only a few reasons why a person might be having pain in their neck area, if you are experiencing neck pain or stiffness the best coarse of action is to seek the help of a Chiropractor. One of the first things a Chiropractor will do when you seek help from them for neck pain and stiffness is an exam. This way they can see where you feel pain and try to figure out why you are feeling the pain. When did you first start feeling pain in your neck? Have you done or taken any medications for your neck pain? Does anything you do make the pain feel better or worse? The Chiropractor will check your posture. The Chiropractor will check range of motion. The Chiropractor will check your overall physical condition. After a physical exam is done, the Chiropractor might also send you for tests and/or lab work. Remember all cases are different and treated individually so your particular exam could be somewhat different from another person’s exam. It is hard to deal with neck pain and stiffness so why not let the kind people at Hoffman Chiropratic help you handle your pain. Go ahead, make the call today(815)937-0446 or visit our Chiropractic Office in Kankakee Count to get non-invasive neck pain treatment. Start living a happy and fulfilling life. 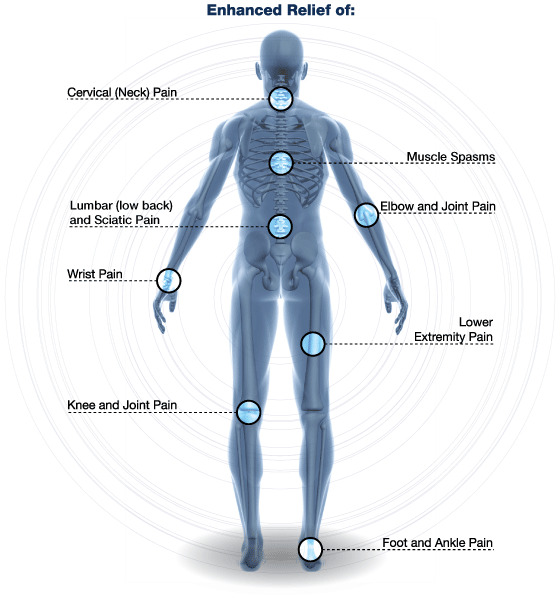 let Hoffman Chiropractic help you today. Many people complain of shoulder pain, about half of the citizens around the world experience this type of pain at sometime in their life. Shoulder pain can be an annoyance issue or a severe pain that makes it hard to live a fulfilling life. Sometimes, a person can even have a hard time handling everyday tasks when they experience shoulder pain on a regular basis. 1. Rotator Cuff Tear: A rotator cuff is a large tendon that helps supports the shoulder joint, A person can experience a rotator cuff tear due to an accident or a sporting injury. In addition, a rotator cuff tear can also occur due to wear and tear on the rotator cuff. 2. Back and Neck pain: When a person feels pain in their neck or back area, then they might also feel pain in their shoulders. 3. Bursitis: Bursitis occurs when the bursa is inflamed, Bursae are fluid filled sacs that are located in between bones, tendons, muscles and joints. 4. Arthritis: Shoulder arthritis can occur due to wear and tear on the shoulder, disease or injury. This type of arthritis is not as common as knee or hip arthritis, but it does occur more than most people realize. 5. Bicep Tendon Rupture: The upper portion of the bicep tendon can rupture or tear thus cause severe shoulder pain. There are many reasons why a person can feel pain in their shoulder or shoulders, but if you are living everyday with shoulder pain you should know that there is help. A chiropractor is dedicated to helping you find the cause of your pain, in a lot of cases a chiropractor can even eliminate the shoulder pain that a person feels completely. If you are experiencing shoulder pain, please contact us at 815-937-0446 or visit the Hoffman Chiropractic office in Kankakee Count for non invasive shoulder pain treatment.